***These knives have been modified by the KnivesPlus Team. We take great care in our modifying process to guarantee that they function as intended. 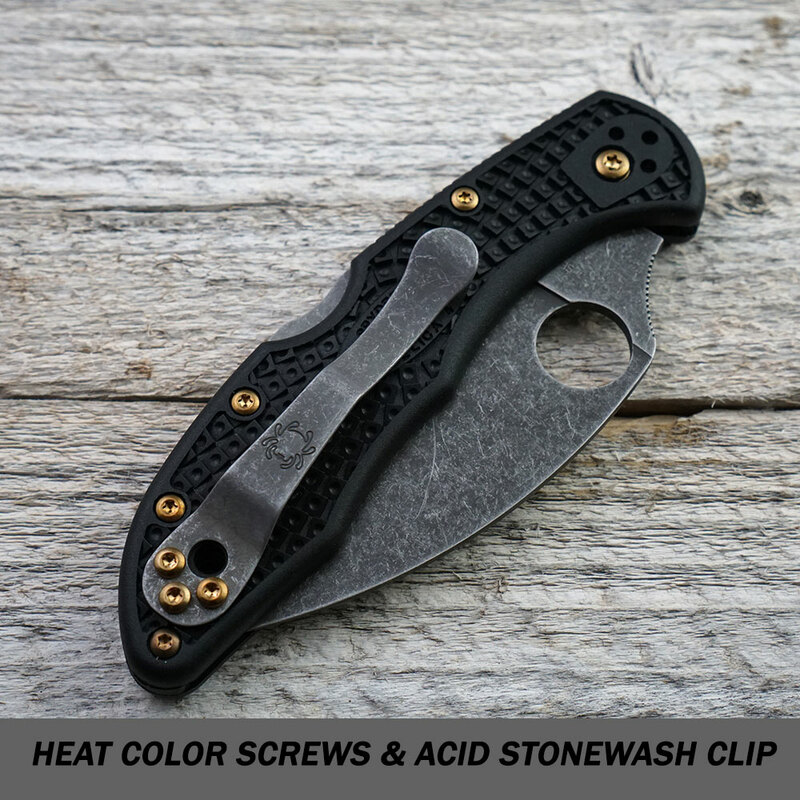 Some of our modifications include acid washing, anodizing, regrinding, and customizing backspacers. 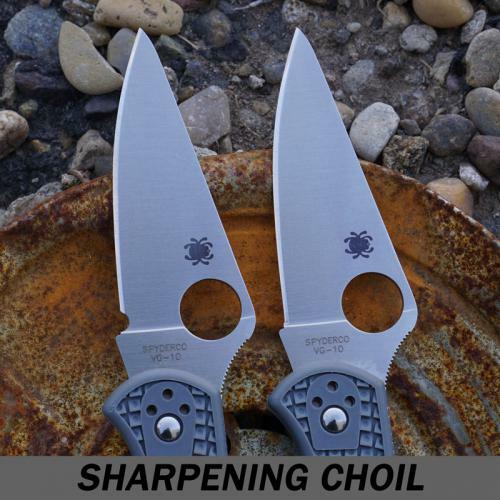 All blades have been re-sharpened and are guaranteed to shave. The illustrated Spyderco Knife is the MODIFIED Spyderco Endura4 Lightweight Knife that features an ACID STONEWASHED REGROUND 3.8" blade made of VG10 stainless steel. 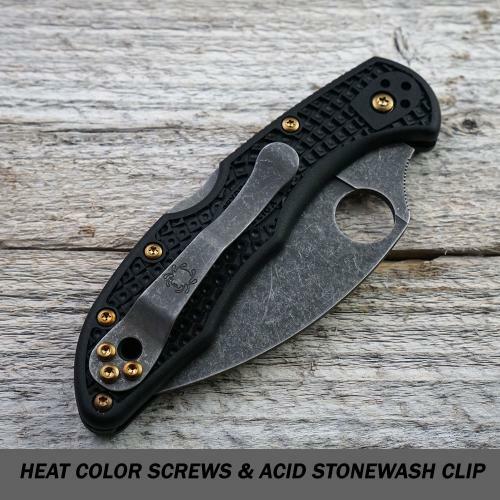 The REGROUND blade of this Spyderco knife has a full flat grind WITH AN ACID WASH, a notched thumb ramp and an enlarged hole for ambidextrous one hand opening. 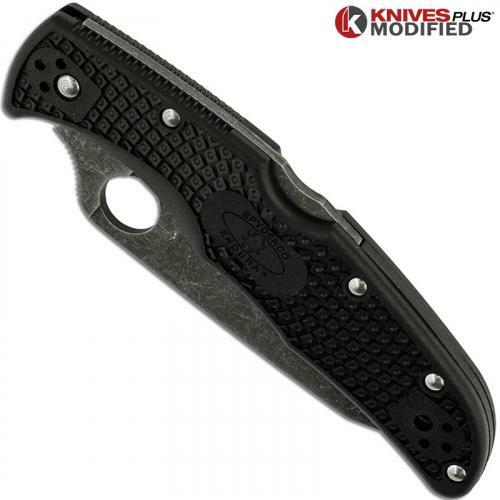 The black fiberglass reinforced nylon handle, 4.98" closed, has Bi-Directional texturing for maximum grip, skeletonized steel liners, a Boye dent lockback, and a lanyard hole. 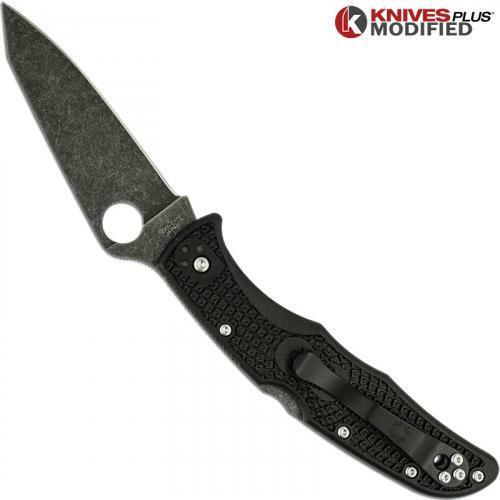 A side to side and end to end reversible black steel pocket clip is included with this Spyderco knife. 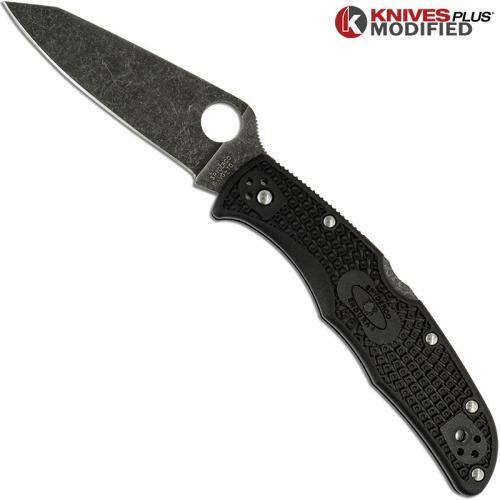 The MODIFIED Spyderco Endura4 Lightweight Knife with flat ground blade and black handle has an overall open length of 8.78", and it weighs 3.4 ounces. Made in Japan.